In War Thunder, the PzKpfw 35(t) is a German reserve light tank with a BR value of 1.0, and the first tank of the "Czechoslovak“ tank branch in the German technological tree. The PzKpfw 35(t), compared to other reserve tanks such as the T-26, M3A4 and BT-5, can be described as a jack of all trades. It’s not as fast as the BT-5 or M3A4, but is definitely faster and more agile than the T-26. The gun’s penetration is lower than US or Soviet reserve tier tank guns, but is still sufficient to penetrate most other tanks in the opposition on its given BR spread. One advantage of the gun is its ability to utilise sub-caliber APCR ammunition, but since your basic rounds are more than enough to defeat the armour of your foes, you would only need to use them very rarely. As for gameplay, only the basic rules of tank combat should be applied due to the fact its at the reserve tier. As reserve tanks can easily destroy each other even from the front, be sure to be the one to fire first and preferably aim for turrets to disable the enemy gunner and/or gun breech – this will give you time to land a second killing blow and prevent return fire. Your unsloped armour is too thin to ensure safe ricochets and will be penetrated even by 20 mm autocannons, so always angle your hull to give you at least some chance of ricochet. As for a choice between the PzKpfw II and PzKpfw 35(t) as your starter tank – the PzKpfw II is somewhat faster and more agile and has the advantage of stronger frontal armour and sheer rate of fire due to its autocannon. The PzKpfw 35(t) has the advantage in mid-range penetration, as the light 20 mm autocannon rounds lose their penetration over distance rapidly. To sum the differences up, the PzKpfw II is more of a front-line brawler, while the PzKpfw 35(t) is more suited to second line sniping and support roles. The PzKpfw 35(t) can be a fun tank to play and will be the first contact with German armour in War Thunder for many players. 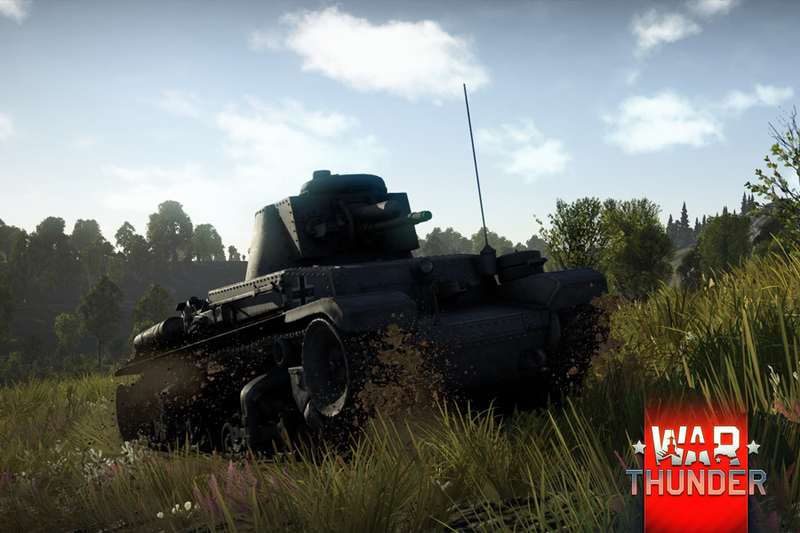 If you’re a rookie, use this tank to learn the basics of War Thunder tank warfare. If you’re a veteran player seeking a break from higher tier tank carnage, you can always return to your roots at the reserve tier. Further research of the PzKpfw 35(t) will then lead you to the famous PzKpfw 38(t) light tank, featuring an improved gun and mobility. Be sure to read more about this Czech vehicle on our forums!